When I was trying to come up with a name for my blog I tossed around countless different ideas. 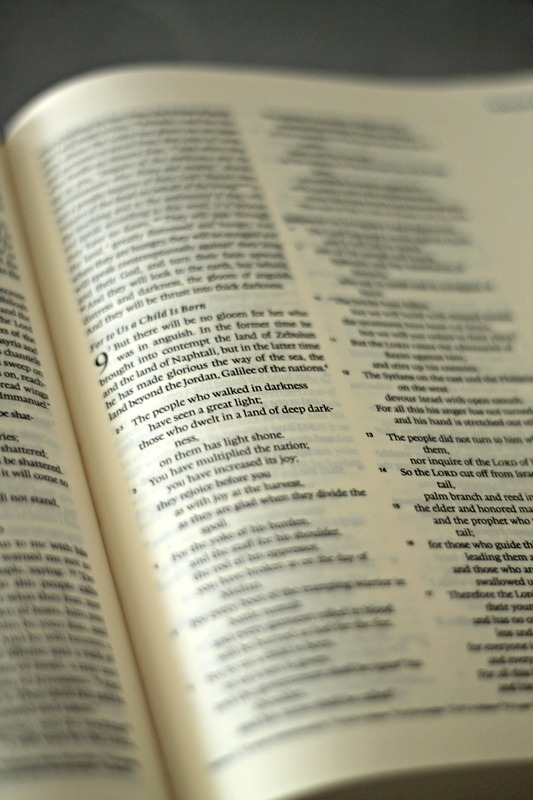 One thing remained constant: I wanted the title to somehow reflect God’s Word. Life with Truth. I mulled over it, my husband and I discussed it, and I even ran it past two friends. We agreed that this name would give me freedom to write about a variety of topics, but it would also keep me grounded in my desire to share how God’s Word shapes every aspect of my life. God’s Word holds the truth about God, my need for Him, His gift of grace to save sinners like me, and the principles I need to live out my faith in Him. Both my approach to life and my response to life need to be guided and shaped by Truth. 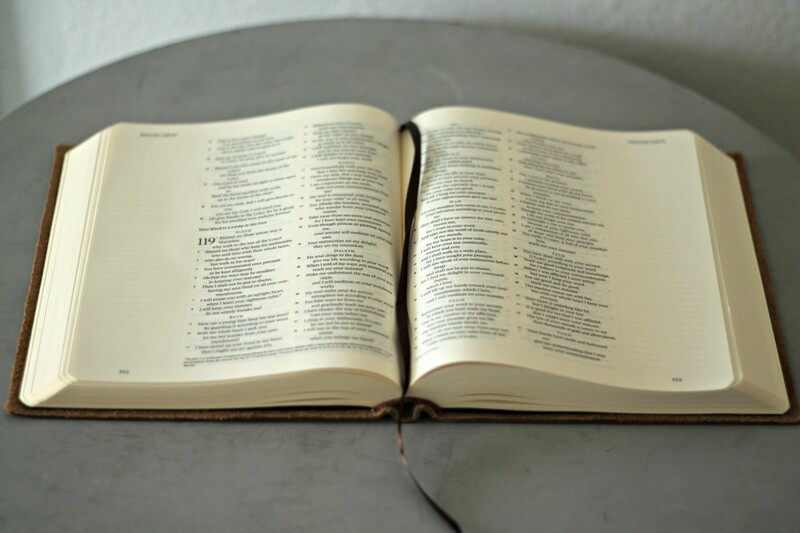 So because it is my desire that this blog be a place that points others to God and His Word, I thought it only appropriate to give away a Bible. I mentioned this idea to my husband a few weeks ago, and he immediately offered to provide one. This giveaway is sponsored by my husband. He is the mastermind who worked on designing and programming this blog. He is my best friend. He’s my biggest cheerleader, and he has completely supported my desire to continue writing, even being okay when I share bits and pieces of our family’s life. This Bible has wide margins, which I love! I’m always noting cross references or writing thoughts in the margins of my Bible. What I specifically like about this one is that the margins are lined. If you’re like me, your writing might tend to slant a bit, so these provide neat spaces to jot down notations. The ESV is what I use for my Bible reading and most of my Bible study; it’s easy to read and an excellent translation. 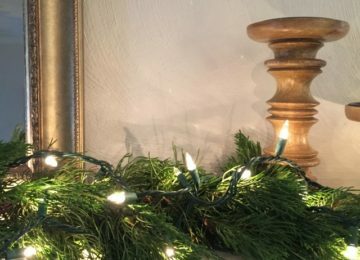 While I love all of the items that are being given away this week, and how they represent what this blog will be about, today’s giveaway is my favorite. For it is the Word of God that holds the Truth necessary for me to know God and live a life of faith in Him. Simpy use the Rafflecopter below to enter for your chance to win! Giveaway will remain open until next Friday. Thank you for sharing your heart and God’s Truth. Such a nice prize! I love the ESV. I have always wanted a Bible like this! Thanks for the opportunity to enter. Thanks, Lauren for sharing your heart..always enjoy and are blesses! These giveaways are so fun! Love this Bible! 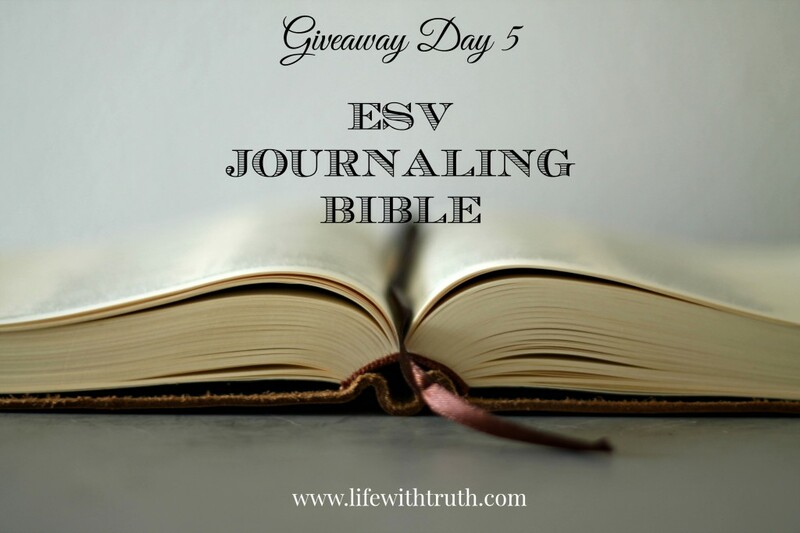 My husband and I use ESV but the journaling one is new to me. I love the space it gives to take notes. Thanks for sharing! I didn’t realize there was a wide margin edition of the ESV. So excited about the opportunity to win this Bible. I look forward to reading thoughts The Lord sends your way. This is the first blog I have followed. I am always challenged by your blogs! Thanks for sharing!